Extending An Unmatched Appeal To This Maroon Coloured Kurta From The House Of Anuswara Is The Gold Print All Over. 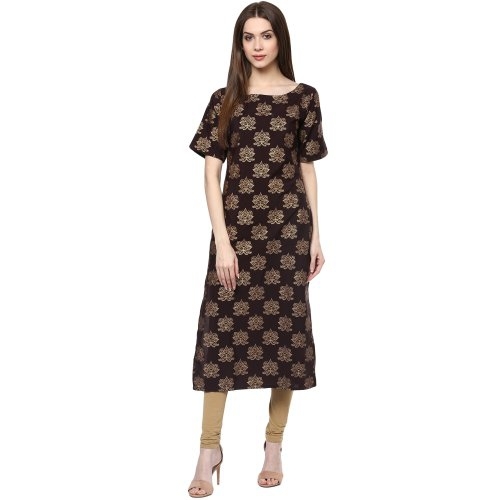 This Casual Kurta Has A Boat Neck And Half Sleeve.The Crepe Fabric Ensures Soft Feel And Total Comfort. 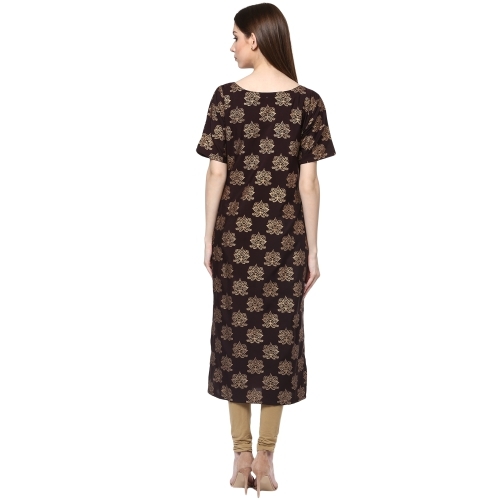 Pair Up This Kurta With A Beige Churidar And Stilettos.